We both share the same birthday, which we found out after a few years of acquaintance. This is a bit symbolic and it also explains why we, being so different, have a lot in common and understand each other so well. Ravi is a Managing Partner of Margosa Ventures that invests in early-stage start ups. Prior to founding Margosa, Ravi was a Managing Director in charge of capital markets transactions at Quellos Group which is one of the largest funds of funds investing in hedge funds. He was Director of Portfolio Strategy, Mergers & Acquisitions, in the venture capital division Intel Corporation. Prior to joining Intel, he was a Senior Vice President at Sumitomo Bank Capital Markets, Inc., with coverage responsibility for major corporations and institutional investors. He received his bachelor's degree in Electrical Engineering from the Indian Institute of Science. 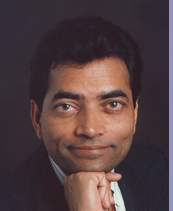 Ravi received his master's degree in Computer Science from the University of Wisconsin, Madison, and his doctorate in Operations Research from the University of California at Berkeley. He later joined Goldman, Sachs & Co., where he developed and worked on the now commonly accepted parametric approach to portfolio management. Before joining Sumitomo, Ravi was Director of the Financial Strategies Group at Prudential Securities. Ravi has written seven books (three available in Japanese) on various topics in finance including portfolio management, risk management and derivative instruments. Ravi is married and a father of one daughter and two sons. 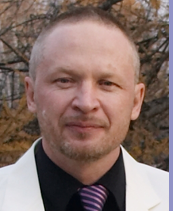 Alexei Ustinov, the CTO of Jasmine Music Technology was born in 1957 near Lake Baikal (Russia, Siberia). During school days he was into sports, technical craft and music in piano-class. He graduated from Novosibirsk State Technical University in 1981 as a radio-engineer and since then worked in different positions in scientific research institutes and plants and was a lecturer 1983 in Novosibirsk Conservatory on "Musical Informatics", "Acoustics" and "Sound Engineering". In 1984 Alexei founded Novosibirsk Computer Laboratory, which deals with hardware and software for electronic music. He is the author of a number of articles and books on electronic music-related questions, a participant of Russian and international exhibitions, symposiums and seminars. His main interests are focused on expressiveness of electronic music and on mathematical methods of analysis, transformation and generation of music. As a musician he took part in amateur music bands, recording studio sessions, arrangement of his own and other authors' tunes. Released CD album co-authored with Ravi Dattatreya, a number of musical works are available in the Internet in mp3 and MIDI formats. Alexei is married and a father of 3 sons.